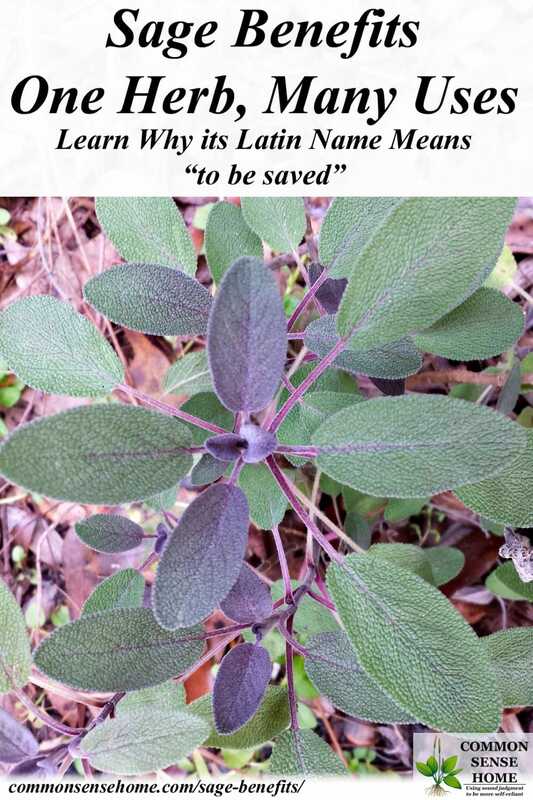 Sage (Salvia officinalis) is a perennial, evergreen subshrub, with woody stems, grayish leaves, and blue to purplish flowers. Salvia (sage) is the largest member of the mint family, containing over 900 species throughout the world. Sage is one of my must-have herbs, definitely on my top five list. The more I explore and begin to understand herbs, the more I love and appreciate them. I realize herbs were put on this planet for a purpose. It is our responsibility to discover that purpose and apply it to our lives so it can benefit us and those we care about. The plant is an evergreen perennial shrub in zones 5-8. In zones below 5 and above 8, it is considered an annual because it cannot survive all year in the growing conditions. Sage can be grown indoors in a sunny window. To read more about indoor growing, visit Gardening Know How – Growing Sage Indoors. Both Roman and Greek civilizations used sage as a preservative for meat, a tradition that continued until the beginning of refrigeration. What these cultures knew from experience, that this herb could help to reduce spoilage, is now being confirmed by science. Researchers have isolated the sage's numerous terpene antioxidants, which protect oils from oxidation and prevent rancidity. A great way to dress up your chicken or turkey. Stir together all ingredients in a bowl. Seasoning will keep, refrigerated for about 3 days. You can mix this seasoning in a stick of unsalted butter to rub your turkey with prior to roasting or insert under the skin. Mix in blender and store in a glass jar. Makes a great gourmet gift! Mix together and spread out on a cookie sheet with a lip edge and bake on 200 * for 25-35 minutes until nice and dry. 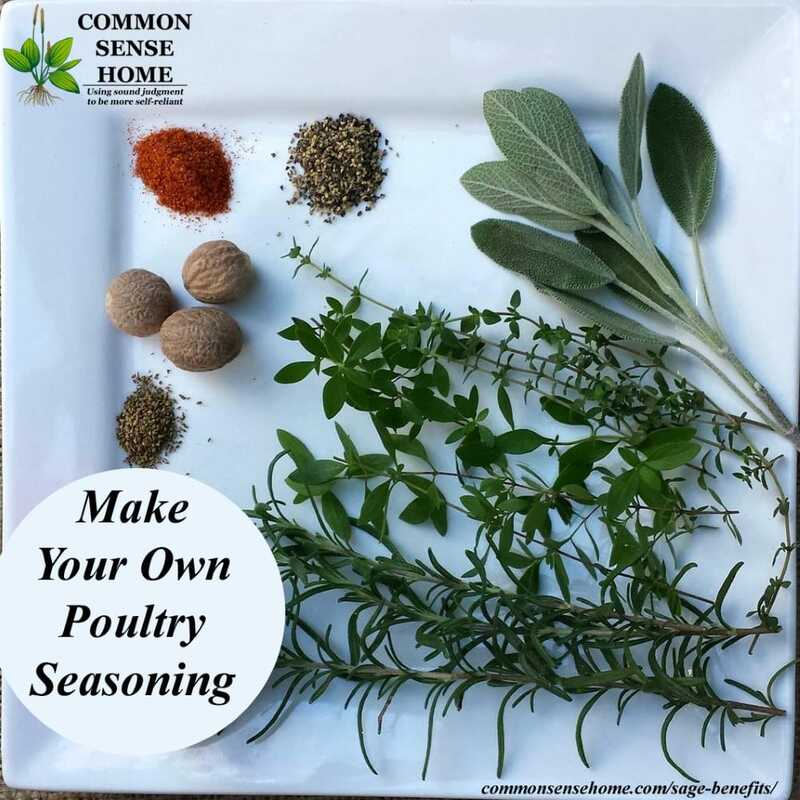 You can place Sage Salt in a food processor until fine for use in a salt shaker or leave coarse. Making your own vitamin water is very cost effective not to mention your guest(s) and children will love them! Infused water offers an array of healthy natural antioxidants and vitamins. They are visually stimulating, palate pleasing, and help to keep you hydrated. Add fruit to water. Rub sage between hands to bruise the herb and release the oils, add to water. Let sit at room temperature for 1-2 hours or in the fridge for 3-4 hours. The longer you infuse the water, the stronger the flavor. Discard fruit and herbs after 48 hours to prevent from spoiling. Store vitamin water in fridge up to three days. In medicinal lore, sage has one of the longest histories of use of any medicinal herb. Pour water over sage leaves and let steep for 10 minutes, strain and add honey and lemon if desired. Drink or gargle tea. Note: A strong cup of Sage Tea can help relieve a nervous headache. Pour vodka (or glycerin) over sage until it is completely covered with ½” above sage. Cover tightly and place in a cool, dark place for a minimum of 2 weeks. Shake the jar every couple days to help with the infusion. Strain and pour tincture in a dark glass jar, preferably with a dropper, and store in a dark place. 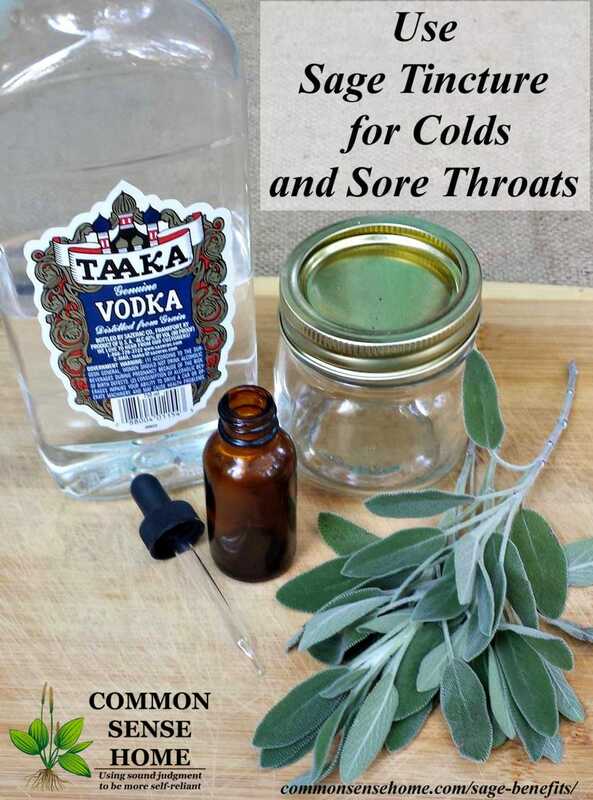 You can gargle with sage tincture or take 5-10 drops twice daily at the first sign of a cold or use to treat sore throats. The phenolic acids in sage are particularly potent against Staphylococcus. For treating Alzheimer’s disease, 1 gram of sage per day is recommended. See webmd for more info on using sage for Alzheimer's treatment. Another way to use sage is in a smudge stick, which is a bundle of dried herbs that is burned to help purify the air and kill airborne bacteria. You can learn how to make a smudge stick in the “How to Get Rid of Unpleasant Smells” section of the DIY emergency potty post. Disclaimer: All material in this article is provided for general information purposes only and does not constitute medical, legal, financial, or other professional advice on any subject matter. Please see a healthcare professional if symptoms are acute or persistent. This post is by Amber Bradshaw of My Homestead Life. 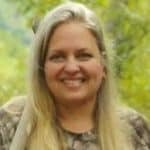 Amber and her family moved from their tiny homestead by the ocean in South Carolina to forty-six acres in the Smoky Mountains in East Tennessee. While building their off-the-grid homestead, they live like the days of old – cooking without electricity, collecting water from the creek and raising chickens, goats, pigs, turkeys, bees, and guineas. They've recently filmed their journey for a TV show on the Discovery Channel and the DIY Network/HGTV called Building Off The Grid: The Smokey Mountain Homestead. Dried sage leaves are delicious in hot tea. Just pick off the leaves of rinsed and blotted dry stems and spread out to air dry several days til shriveled. Store in air tight container. I love it with Earl Grey. Just put some into the pot with the tea and steep. Great post! By the way I think you mean folate, folic acid is synthetic folate which is harmful to many people. Now I am going to plant sage! Thank you! Correcting that right now. Hi I came across your site when I was researching the benefits of sage. You say sage is an annual but I have one that has grown for years without dying. I live 30 miles north east of Wellington, New Zealand. We have a cool temperate climate. One thing about my sage is that it grows where a feijoa used to grow. Feijoas make soil very fertile. My sage also grows with some thyme and marjoram. 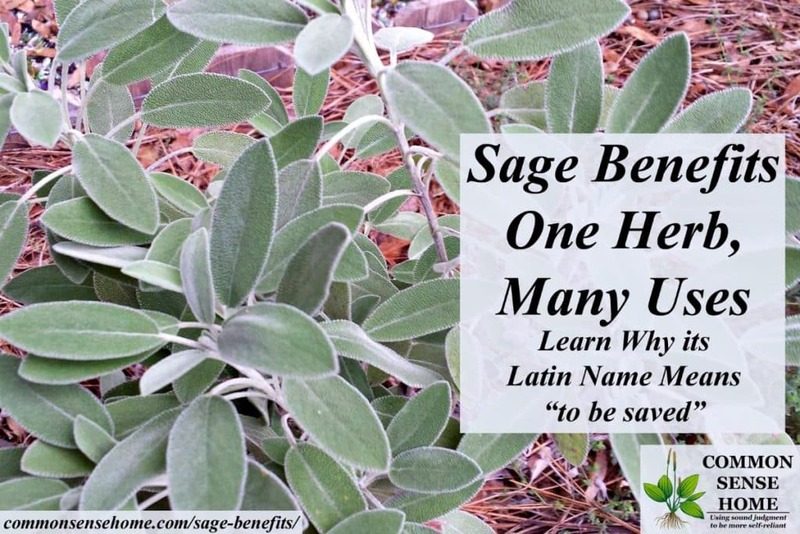 Strangely enough, sage is one of those plants that may survive as a hardy perennial in temperate climates, but must be grown as an annual in hot climates because it doesn’t tolerate extreme heat and humidity. I’ve had plants survive a number of years here in my Wisconsin garden, but I’m sure Amber gets a little too warm in her south Carolina garden for plants to survive from year to year.